At an interview Swami addressed a Danish couple saying to the wife: "He is a good man." The wife gleaming with joy responded: "Yes very good Swami." "No, no" Swami replied, "Not very good, only good." On the morning of 29 July 1994, Swami called the U.K. group together for with a young man and his father for an interview. Swami on an earlier occasion had materialized a three stone diamond ring for the young man. 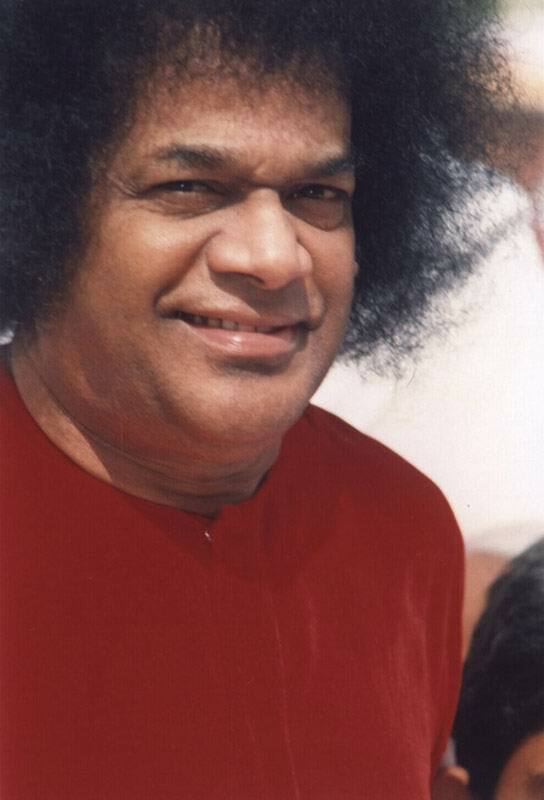 During the interview Swami called the young man who was sitting at the back to come forward and said, "The ring is a little tight on your finger, give it to me and I will make it a bit bigger so that it fits you perfectly". Just then, as Swami was about to blow on the ring to change its size, he said, "No I will change the ring completely". Swami showed the original ring to some of the boys and men from the U.K group, and then He blew on the ring 3 times, and changed not only the size of the ring but also the style. Once again Swami showed the 'new' ring to the same boys and men to confirm that He had changed the ring. At that moment in time a young boy (about 10 years old) was so amazed at what Swami had just done that he sat up straight and turned towards this little boy and said, "Shall I change you in to a little girl?" The little boy looked shocked and was speechless so Swami said it again, "Shall I change you into a little girl?" Still speechless but now looking a little frightened the little boy just shook his head to indicate No, at which point everyone in the room burst out laughing… except the little boy!! A Californian woman came to Baba, obsessed with anxiety about the predicted San Francisco earthquake. Baba listened to her fears for a good while, apparently agreeing that an earthquake was likely to happen. "But what shall I do?" the hapless lady asked. Baba leaned forward and whispered dramatically, "Prepare to die..!!" "How do you spell 'wife'?" Baba asked a devotee in the interview room. "W-I-F-E-Worry Invited For Ever!" teased Baba. Then seeing the downcast expression of the wife, He gently corrected himself: "No - Wisdom Invited For Ever". During an address, at a meeting, Sri Baba discussed the question of how a little knowledge or half knowledge is dangerous. Its easy to teach the ignorant or the wise but the half ignorant and the half wise are difficult material." said Sri Baba. He then recounted a lighter vein, the story of a solider who did not know English and was tutored by his immediate boss about how to answer questions that were likely to be asked by the General when he inspected the soldier's camp. The tutor taught the soldier answers to three questions, in a sequence. He told him: "The General will first ask you-'How long have you been in the Army?' And you must answer:' Two years'. For the next question 'What is your age?' Your answer must be 22 years, and for the third question 'Do you like the army or the country?' Your answer must be-'Both!' The soldier learnt all the answers in that order. During his inspection the General asked the three questions, but unfortunately for the soldier not in the same order. The General first asked the question, what is your age?" and the soldier replied, "Two years." For the next question," How long have you been in the Army?" Pat came the answer; "22 years." Angry at the answers, the General shouted, "Are you a fool or am I a fool?" "Both!" Answered the soldier promptly. One day in the mountains Kodaikanal, Baba's red Mercedes came down to the main road. My family and other devotees were across the lake about a kilometer away. As soon as Baba's car came on to the main road, we stood up and held our hands together as a mark of respect. People lined up on either side of the road holding their hands together, paying their respects to Baba in the red Mercedes. As the car passed, they realized that Baba was not in the car. He was in the bus with the students, and he said, "See the car is getting all the pranams. The reason is that the car kept company of God and today though the car is going alone, all the devotees are offering their pranams to the car, i.e. you are judged by the company you keep. But, I am missing all the pranams because I am with you."